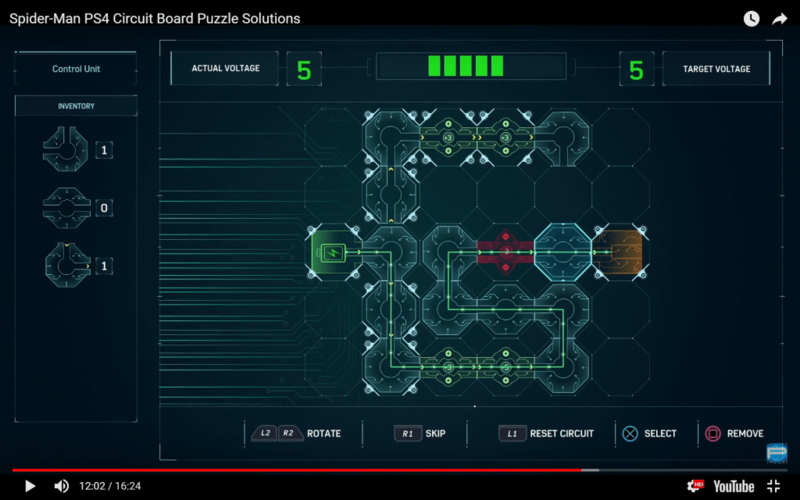 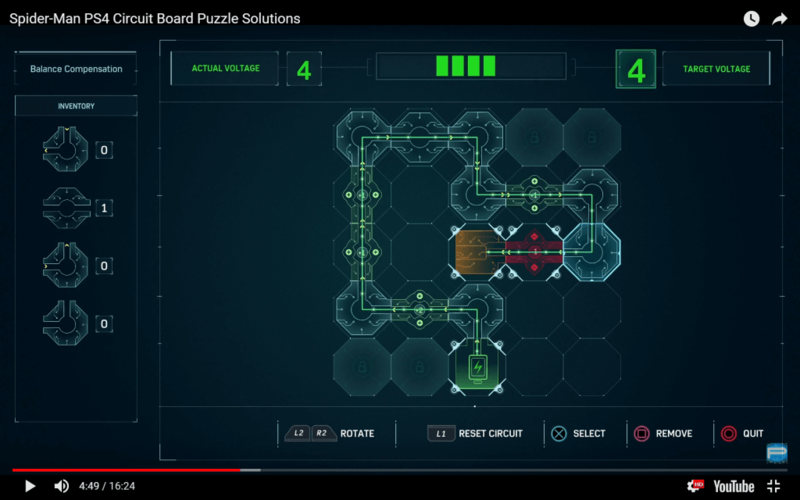 Throughout your Spider-Man PS4 adventure, you’ll need to solve many circuit board puzzles. 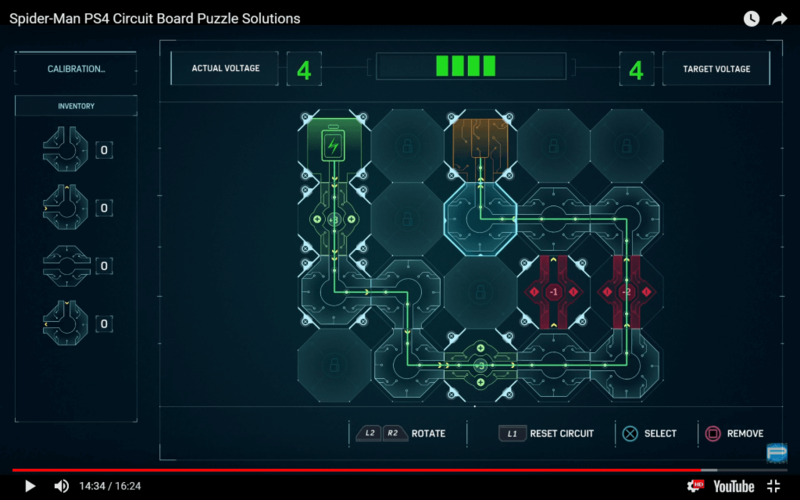 In this guide, we’ll show you all the Spider-Man PS4 circuit board solutions. 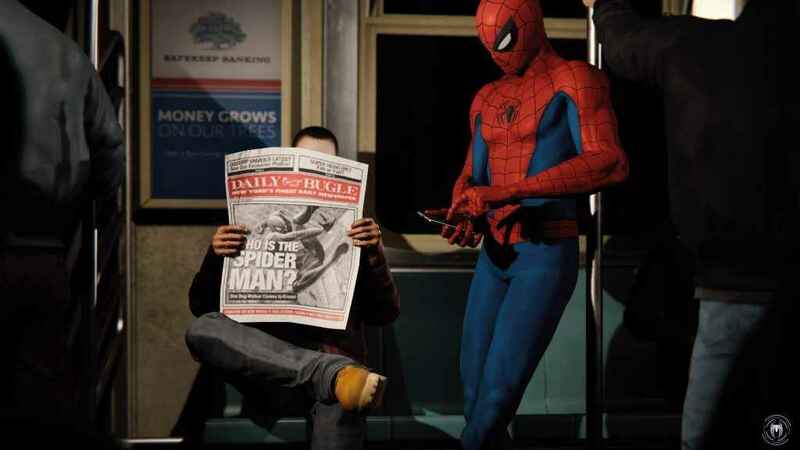 In the guise of Peter Parker, you’ll often be heading back to Octavia Labs. 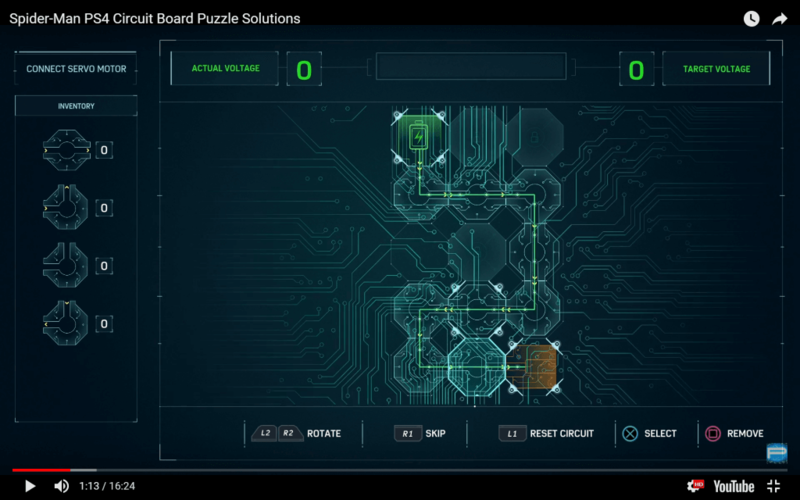 From this hub, you’re tasked with solving numerous circuit board puzzles and spectrograph puzzles. 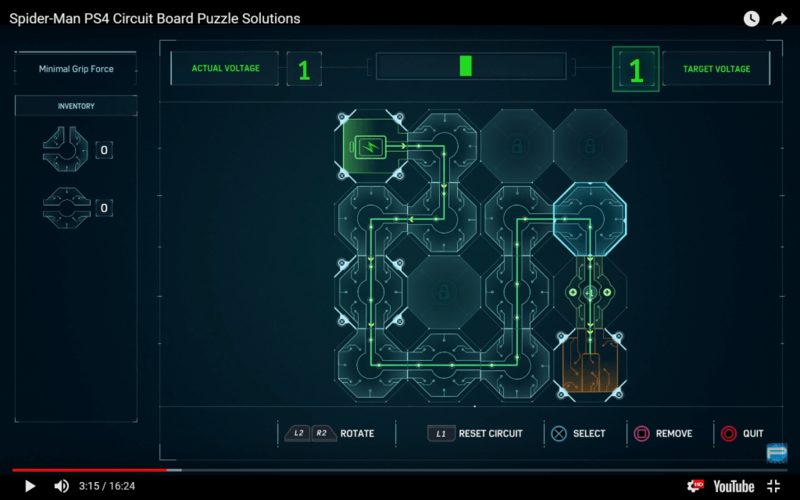 These involve placing and rotating various circuit boards and placing them in the right position to make a connection. 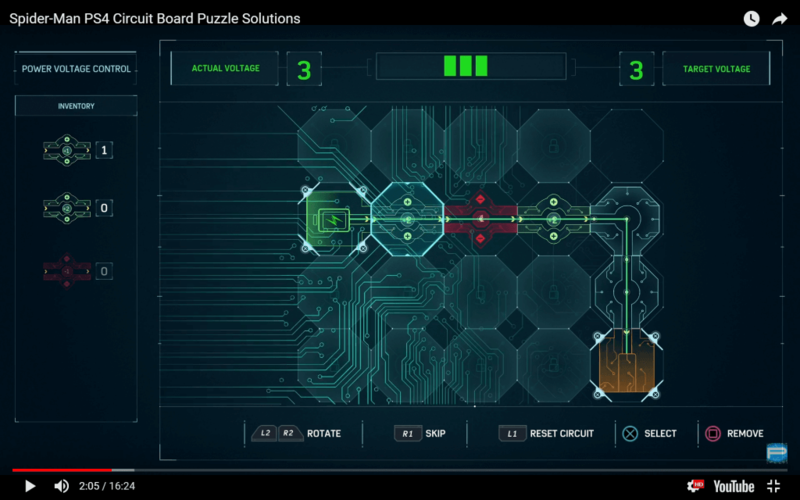 They start off extremely easy to solve and get more difficult as you progress. 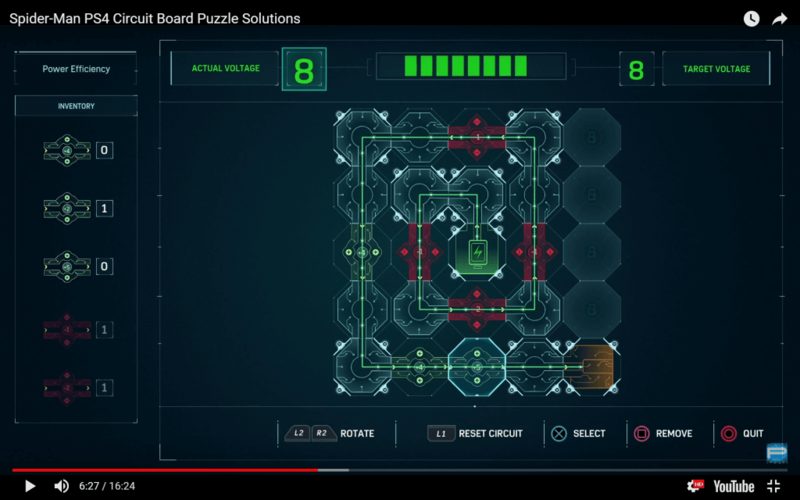 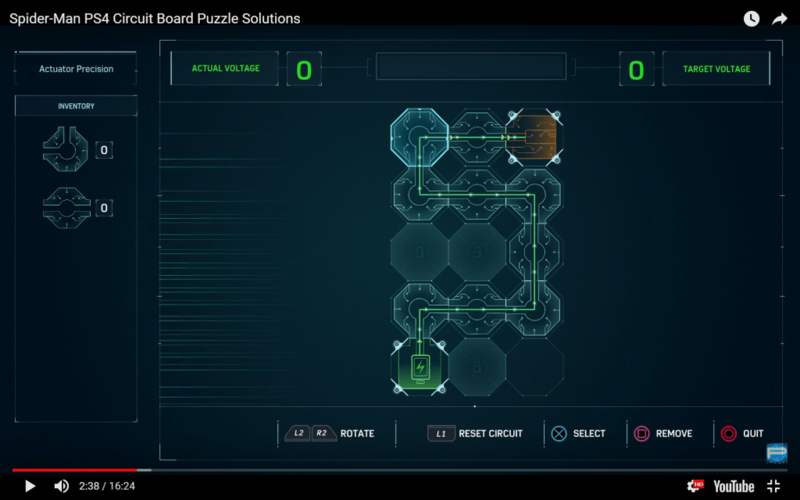 With these Spider-Man circuit board solutions, you’ll earn XP for each puzzle you solve. 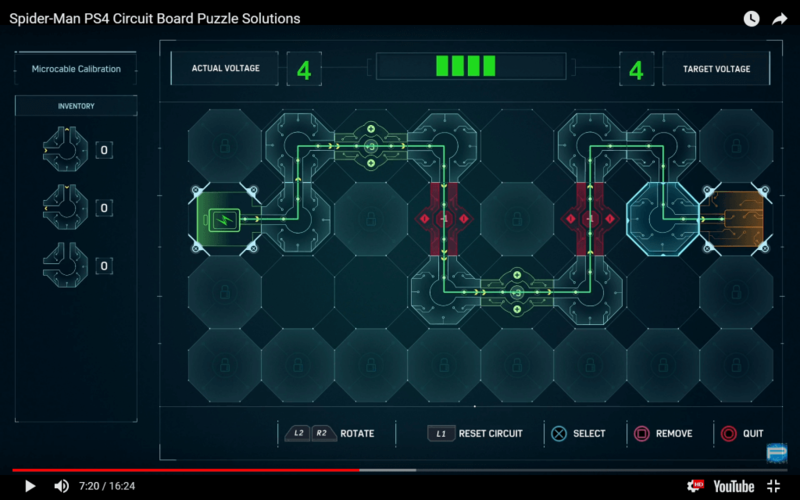 Some circuit pieces only allow connections from specific directions. 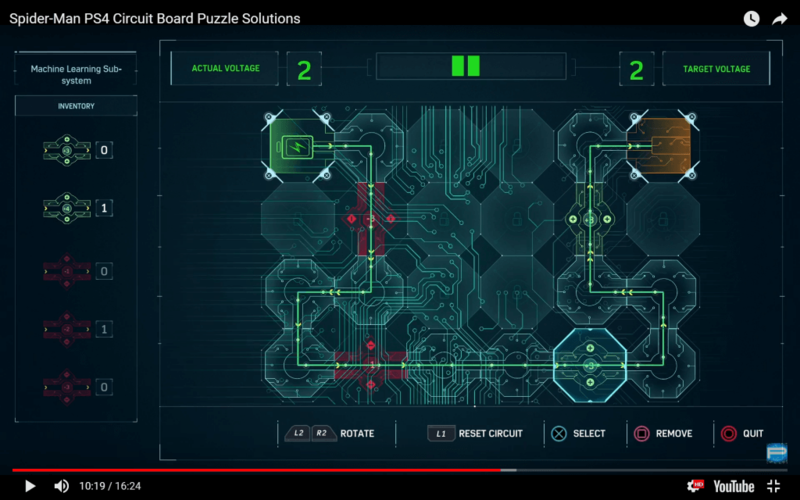 Also, some circuit boards require you to set the power voltage control and meet the charge requirement by placing down a positive or negative charge. 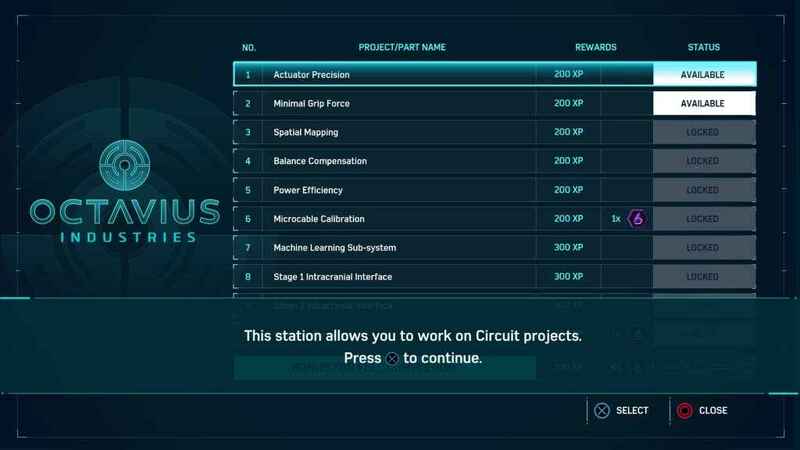 For each one you complete successfully, you’ll earn up to 300 XP. 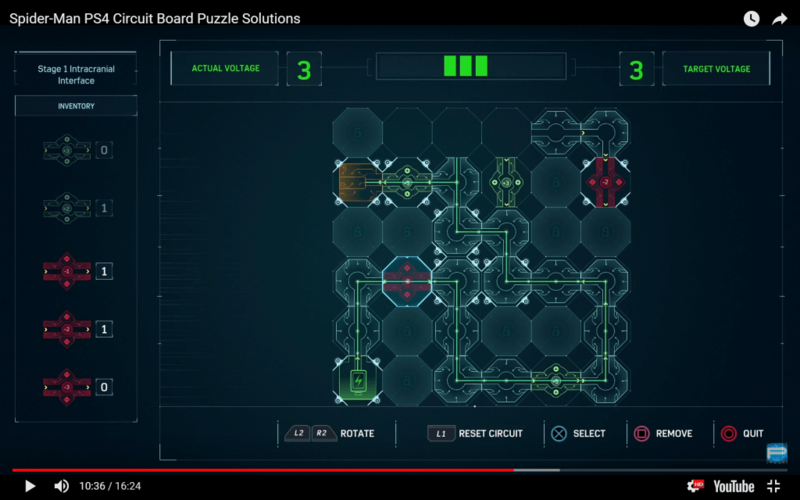 There’s a couple to start with to help repair the suit, including the Connect Servor Motor and Power Voltage Control tutorials. 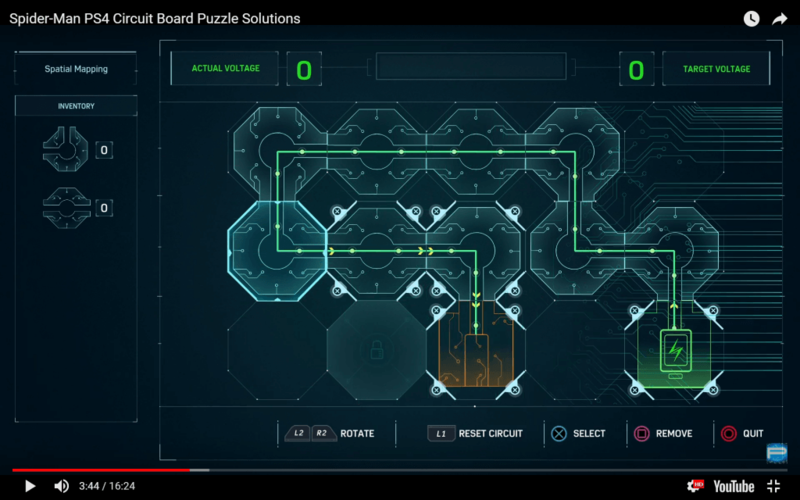 In the following video, we show all 14 Spider-Man PS4 circuit board solutions in order. 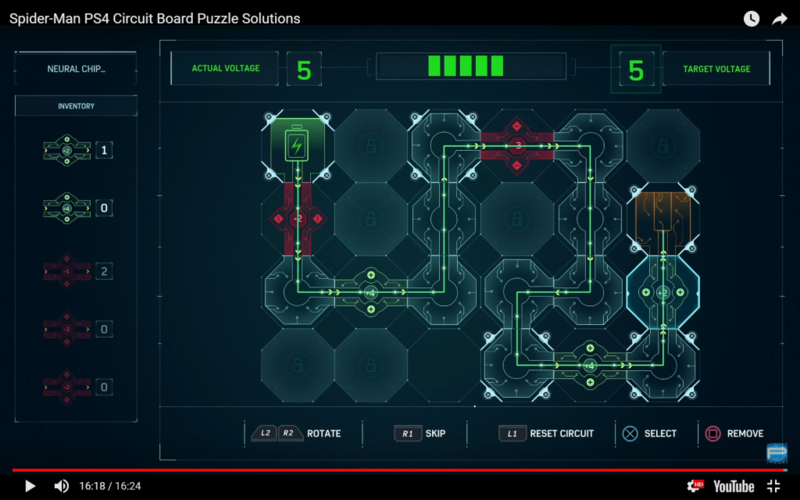 These are all from the main mission, though there are also optional ones you can solve during side missions. 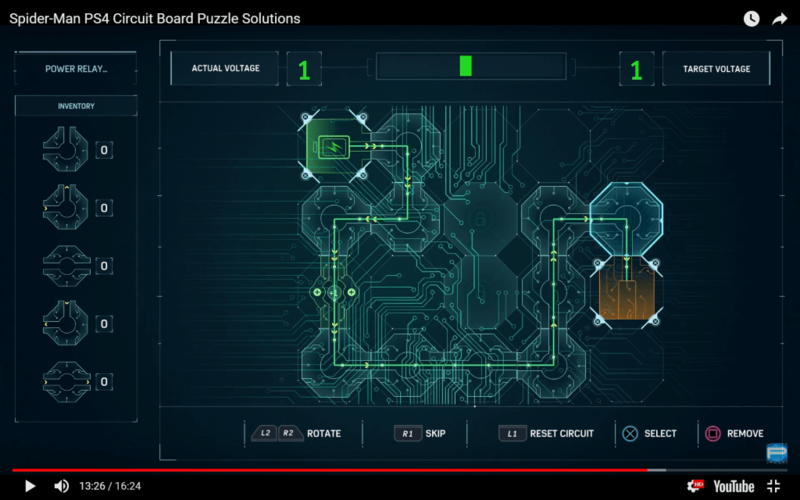 You can watch the video below to see the circuit board solutions in action, or skip straight to the screenshots of each board.